Meet Lizzy, our weekend visitor! 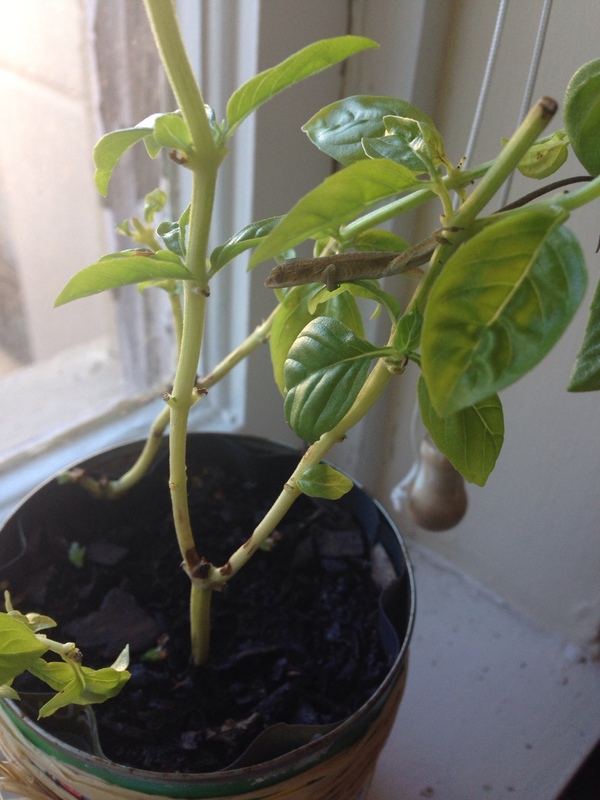 Alex found this tiny little thing clinging to the basil in our windowsill! He probably crawled right in through the window. I’m glad he found him there before he showed up somewhere more surprising. He was placed safely outside downstairs somewhere he could get more to eat than our Basil. So long, little friend.